Hello! 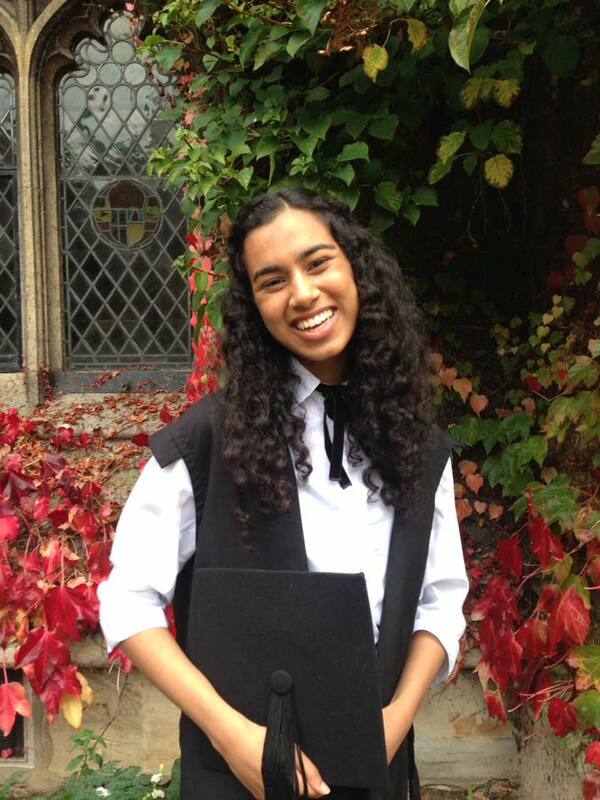 I am Nupur Patel, a DPhil student in Modern Languages and the current Lincoln MCR President. I am responsible for facilitating the various functions of the MCR which support the graduate community. I am lucky to have a fantastic group of committee members who help me with this task. Together we work hard to ensure that events run smoothly, the required resources are available, and that any issues that arise are resolved effectively. It is thanks to these dedicated and enthusiastic members of the graduate community who help to make the MCR a fantastic community to be a part of here at Lincoln. As well as organizing the MCR, I act as the primary liaison between the MCR and other College bodies (such as the Senior Common Room, Domestic Operations, and Graduate Office). I represent the views of the Lincoln MCR in various college and university-wide committees on matters which affect our experience at Oxford. I am also easily accessible to MCR members who may wish to raise any questions or concerns. If you would like for me to raise something to college, or if you have any concerns or queries for me, please do not hesitate to contact me at mcr.president@lincoln.ox.ac.uk. Alternatively, feel free to approach me at the various exciting MCR events that I attend, or around college. Every Monday afternoon from 12.30pm-2.00pm, I hold office hours for MCR members who wish to speak with me in person in the MCR. Hi everyone! My name is Alexandra, I'm a first year MPhil in Economics student from Sydney, Australia. I'm the Treasurer of the MCR, which means lots of spreadsheeting, budgeting, keeping track of MCR finances, representing the MCR at college finance meetings, and ensuring that the MCR is always well stocked with tea, coffee, biscuits and newspapers (if anyone has any tea or biscuit requests let me know!). In my spare time I can be found rowing, singing evensong at Balliol, reading obscure Wikipedia pages, and just generally avoiding doing my problem sets. Hello I’m Heather, an MPhil student in British and European History and Secretary of the MCR Committee. My responsibilities include running the housing ballot, recording minutes of MCR meetings, organising the annual MCR photographs and maintaining this website! I can frequently be found at the Lincoln College Boat House, or baking something for one of our afternoon teas. I'm usually around college as I serve as one of the MCR peer supporters and work with Canine Concern to get therapy dog visits to our MCR so feel free to grab me with any questions or issues relating to general MCR life. Alternatively, please feel free to get in touch at lincolnMCRSec@lincoln.ox.ac.uk! Hello! We are Ellen & Issy, both current MSt students at Lincoln College in Early Modern History and in Economic and Social History. Our main aim is to organise incredible events to ensure that the MCR continues to withhold its reputation as the most lively of all Middle Common Rooms! We aim to provide numerous wine and cheese nights, pub quizzes, film nights, exchange dinners and formals to keep you entertained throughout the year! If you have any suggestions, or events which you would like us to run, please contact us at LincolnMCRSocial@lincoln.ox.ac.uk. Hi there! I’m Heather, your MCR Female Welfare Officer here at Lincoln College, and I’m a first year MPhil student in British and European History. My role in the MCR is to help the student body with a variety of welfare concerns, and to provide a safe and welcoming environment for students to find support for any issue, big or small. 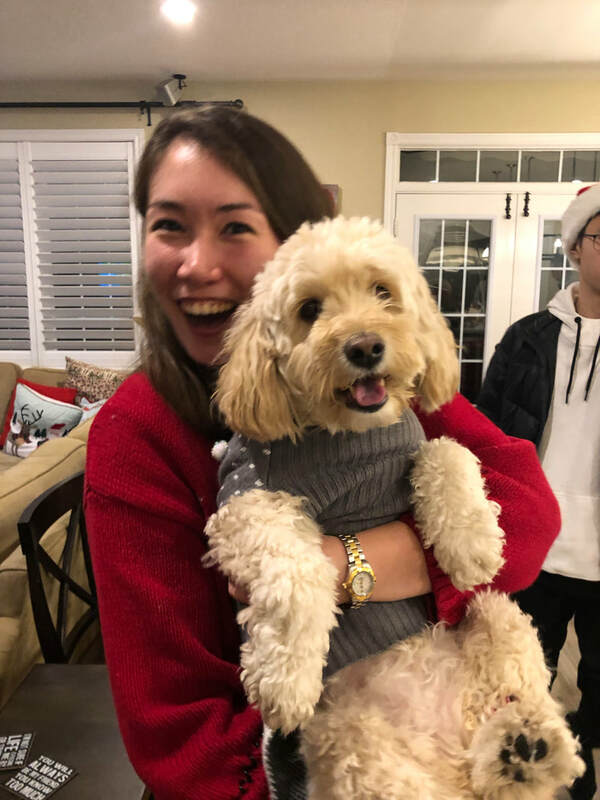 Along with Sebastiaan, I organise various welfare events throughout the year, from movie nights, to fitness classes, to even visits from a local therapy dog. All this alongside our weekly Afternoon Tea, the perfect opportunity to come into the MCR and have a slice of homemade cake and relax after a busy week. If you have any welfare concerns please don’t hesitate to contact either myself or Sebastiaan. We’re both part of the Peer Support network here at college, meaning we’ve undergone over 30 hours of active listening training and can help you find the resources you need or just listen to any of your concerns. We also provide the student body with condoms, dental dams, lube, attack alarms and pregnancy tests. If you find that the contraceptive box in your residence is empty or would like us to pidge you something please just send us an email or leave a message in our pidge and we’ll get you what you need. If you want to get in touch I can be reached at heather.mctaggart@lincoln.ox.ac.uk. Cheers! I’m Cameron – your new LGBTQIA+ representative for the coming year at Lincoln! 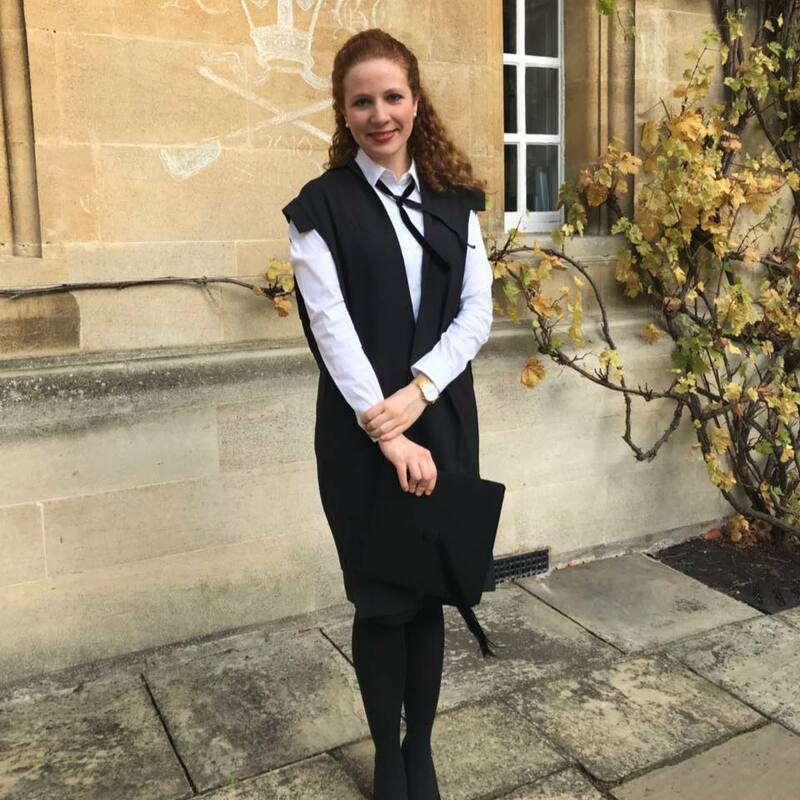 I am a first year DPhil student studying Biomedical Sciences jointly between the Dunn school here at Oxford and the National Institutes of Health in the US. My objectives for this role are to bring LGBTQIA+ issues to light in the MCR and to represent the queer community in the college. I also aim to organize some excellent (read: super gay) events for the coming term. 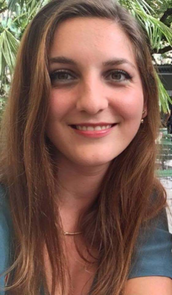 My name is Sofie Behluli, I'm a first year DPhil student in English and I'm your Charities Rep! The main remit of my position as your Charities Rep is to organise various fundraising events to support a group of national and international charities endorsed by a vote of MCR members. A quite pleasant side benefit of those events is its potential not just to raise money for charitable purposes but to bring the MCR and its lovely people together. ​Being here in Oxford is a wonderful experience, nevertheless it is even more important not to forget those who have not had the same chances as we have in life, who face difficult challenges every day and who have not the chance to experience such a community as we do here at Lincoln. ​Therefore, I hope to see as many of you as possible in the fundraiser we organise (http://lincolnmcr.weebly.com/charities-team.html)! If you wish to discuss a possible event or a volunteering opportunity, please don’t hesitate to get in touch! Hello, everyone! We're Xanita and Waqas, DPhil students in Molecular Cell Biology and French & English Literature. As the academic representatives of the MCR, we aim to provide opportunities to appreciate the incredible research and intellectual diversity all around us. With the help of an outstanding Academic Team, we organize the Lincoln Leads seminar series in Hilary term and the termly Lord Florey talk, showcasing research within our own MCR. We also host informal study sessions every week with tea, coffee and cake. Please do not hesitate to contact us if you’ve got any questions about academic life at Lincoln (or just want to have a casual chat over tea and biscuits!) at xanita.saayman@lincoln.ox.ac.uk or waqas.mirza@lincoln.ox.ac.uk .